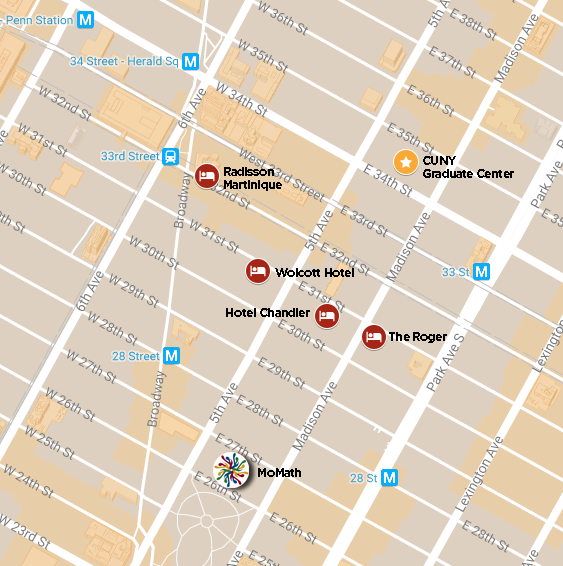 MoMath is pleased to announce that the hotels below will offer MOVES participants discounted rates for the conference. To make reservations and obtain the discounted rate, please choose a hotel and contact them directly, following the instructions provided below. Please refer all hotel-related questions to the selected hotel. Prices below do not necessarily include all taxes and fees.